Join us for the latest episode of Sea Control for a conversation with Vice Admiral Lutz Feldt (ret. ), former Commander-in-Chief of the German Fleet and Commander-in-Chief of Naval Staff, about the challenges of defining and conceptualizing maritime security. A transcript of the interview between Admiral Lutz Feldt (LF) and Roger Hilton (RH) is below. The transcript has been edited for clarity. RH: Hello and moin moin, Center for International Maritime Security listeners. 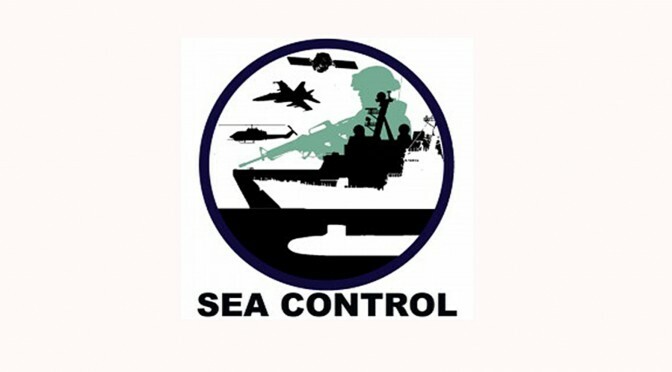 I am Roger Hilton, a non-resident academic fellow for the Institute for Security Policy at Kiel University, welcoming you back for another listen of the Sea Control podcast. Here with us today to provide a tonic to the endemic sea blindness is retired Vice Admiral Lutz Feldt, former Commander-in-Chief of the German Fleet and Commander-in-Chief of Naval Staff. Vice Admiral Feldt has had a distinguished career in the Navy. 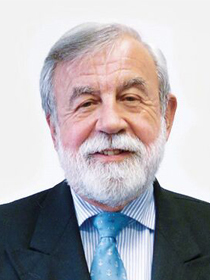 Since retiring, from 2007 to 2012, he was president of the German Maritime Institute, and has chaired Euro Defense Deutschland for four years, and now is a member of the steering board. As a director of WEISS Penns International, he is working with four retired admirals from France, Italy, Spain, and the UK, and an associate partner from Switzerland on almost all maritime security and defense topics. Admiral Feldt, welcome aboard today. LF: Good afternoon and it’s a real pleasure to have this opportunity. And I think I very much like your tonic to see with more clarity. I will to create a better clarity for one or the other issues you mentioned and really looking forward to the questions. RH: Admiral Feldt, you initially positioned your piece by arguing that the maritime domain is radically different today and no longer as well understood as it used to be. Specifically, you cite the introduction of a geographic-centric view of maritime affairs, like a euro-centric, or sino-centric view that is no longer promising or sustainable. To begin with, and to provide some historical context, how was the former maritime domain engaged and you in your professional opinion, what factors have led to changes in doctrine? LF: Thank you very much. What we have to consider is the fact that for a long time, nobody was really aware of the complexity of the sea. Everything went right, and something went wrong nobody really got upset about that because it was so far away. But to look into the sea nowadays, I come back to your introduction where the sea is a manifestation of the web, I really believe that. That makes it really urgent to really look into these huge domains from a regional perspective. All maritime domains, we call them oceans but we can call them domains as well, they are very different. They have some things in common but most of the things are different. I think that if it’s somebody from Europe or from the West or China’s perspective they are thinking they’re doing something that is appropriate for their region that can be transferred to another region as a solution or an option, but I have my doubts that this will work. Regions are very different. The other point I want to make, is that every region has its own traditional ways to solve problems or to live with the problems. That does mean we have a global common on one hand, but we have multiple regions on the other hand. I am very much in favor of these principles developed to think globally but to act regionally and sometimes even locally. RH: We touched on it a little bit. Returning to this Modus Operandi of the maritime domain in the 21st century, specifically on how it’s very hard to transfer, can you elaborate on the two major issues that arise within this concept? LF: One major issue is that we have to solve problems between global perspective on one hand and regional and local perspectives on the other hand. There’s of course another point, which is very much related. The driver is not just the internet, and the networking activities, but the driver of different perspectives years and centuries ago, is of course the development of technology and it is not just the complication of technology, but it is old technology which is not only used in the shipping communities but the navies and the merchant navies as well. We have nowadays a lot of maritime infrastructures in the seas. In my experience, the maritime domain has changed a lot, but a lot of people are still looking into the maritime domain with a different, if I may say so, old-fashioned perspective. RH: I think this idea of the maritime industry with an old perspective is expressed succinctly in your piece on how for a while it was an area that remained largely self-governing. And as you point out, in terms of the shipping industry, it was over-the-horizon, out of sight, and out of mind, which is no longer the case today, I think you would agree. What do you think is the ability to attract more attention and the catalyst for political policy makers who have been somewhat complacent on the sea and who have taken its importance for granted? LF: I think there are different interests. I think we need more awareness in our society because we are totally depending on what happens on the sea and under the surface. We need a better knowledge of what is happening at sea, by our political leaders, some scientists who are looking into environmental protection. I think what we need is a better awareness, better understanding of what is happening. If something is happening in the North Sea, this has influences on other regions immediately. And we have some examples for that. If something is happening in the South China Sea, the impact is eight to ten days later in Europe as well. If we are knowing that, perhaps we can think about it, and perhaps we can create some kind of awareness, and we will not always be surprised with that. Therefore I think that to think globally but act regionally is of utmost importance again. RH: I couldn’t agree with you more. And unfortunately it usually takes a massive natural disaster, or a human disaster, to really attract the attention of the political elite and policymakers. As you state, challenges become more pronounced when problems arise beyond the capabilities of a single nation which is extremely important to recognize. You cite specifically incidents like the Deep Water Horizon in the Gulf of Mexico as well as the Ominco Cadez off the coast of Brittany, France. Consequently you have deduced we are all suffering from sea blindness, potentially not just politicians. Can you elaborate on this powerful metaphor and what this blindness entails? LF: Sea blindness explains in two words what is our challenge. When some manmade or natural disaster is happening everyone is looking to the sea and asking what have we done to allow this and why have we not done this or that but the sea blindness is going even further. It’s the fact that in our nations, the knowledge about the sea is very limited. Even when we are looking into the huge numbers of people enjoying sea cruises this is only a very small portion and I have my doubts that during their sea cruise they are really learning the importance of the sea as a global commons. I think sea blindness can only be changed and improved by a permanent discussion. I think what we are doing is important to overcome this sea blindness, to give some information. The real thing about that is, the people living ashore are so much depending on very secure sea lines or lines of communications, the highways of the sea as we call them, we are so heavily dependent that we cannot live on with the sea blindness. I can tell you there is another aspect, of course this is something more political process, I can see in the global context that two or three big countries, for example such as the Russian Federation and China, they have recognized that if they want to live in a safe and secure environment, they have to overcome the sea blindness and they have taken a lot of steps to do that. Western nations are very reluctant to understand that, and this concerns me. RH: Based on everything you said, I think for our listeners, the two major ways is that we need to educate people not just in maritime security but in the role the sea plays and it also seems important that we need to get individuals with maritime security more involved into civic and political duties. More often leaders and political chiefs are often landsman who lack any type of maritime experience. LF:May I think when you talk about how to overcome sea blindness, we need what we call a comprehensive view. We need to not only focus on one specific topic like container traffic or the transport of oil and whatever, we have to look at the maritime domain as a whole. And everything that is tackled has an impact on other elements as well. We need a comprehensive plan too, and this makes it really challenging for everyone dealing with that. RH: Now that we have gone from a broad idea, when dealing with something as global and complex as maritime security, which includes a lot of topics, what is implied by security? And moving forward, how can we define safety and defense in this context? LF: I think we always trying to make it easy to understand even for ourselves. We have these: safety, security, and defense. It’s very clear. Defense is the responsibility of the navy, maritime and of the air force and naval air arms. Safety is clearly the responsibility of the international maritime organizations, and its well-handled there. I think we have a lot of legal systems which are dealing with them. I have no concerns about safety and some concerns about defense. In the middle of both of them is the issue of security. Security is a mixed issue. It is civilian and military together. On one hand it is where more civilian maritime service s are in the lead, and on specific situations, it is the military that leads with brilliant participation. We have located a definition, where there is no common understanding of what security means in the international community, so everyone is looking for their own understanding and definition, but in essence it is where both parts, civilian and the military community, have to coordinate and cooperate. RH: Do you think the civilian aspect should take more of a role in governing security as opposed to the military? LF: It is clear in a lot of operations, which are ongoing around the world, not only the cooperation but coordination is essential for success. Some military, some naval commanders, think they are the only ones who can fix the problem, which isn’t right, if I may say clearly. They need a civilian contribution and I imagine that for a lot of situations, for example if it is a civil-military operation, the civilian part, the coast guard or the law enforcement agency, is in the lead, and the military is in support of that. RH: Some of your findings resulted in an interesting recasting of the subject matter, as maritime insecurity issues as opposed to maritime security issues. Would you like to defend this recasting to the audience? LF: If we look into the actual maritime domains, we found more insecurity than security. We are not only talking about European oceans and seas, but we are talking about other areas as well, where the insecurity comes from the lack of willingness to cooperate and to coordinate. To be able to cooperate and coordinate you need a well-functioning information exchange system or mentality. This is something which takes a long time. We need a mindset change going from what we need to know to need to share, where need to share is something different from need to know. We can even go a step forward and say there is a responsibility to share critical information not only within your fellows in the navy or customs or fishery protection. We need a better information exchange that includes all maritime services. And of course it is the responsibility of every community. RH: Well as we try to rectify this perceived maritime insecurity, your piece makes the argument that there is a perception that the concept of security is not so much a definable condition as it is but an essential feeling. Specifically, as a conditional state of something that may happen, rather than an existential danger. As we know, the term security, and its integration into the lexicon of international relations jargon and institutions like NATO and EU has to some degree been mischaracterized. With all of this apparent confusion, can you clarify how we should be using the word security? LF: The word security is very popular. There is an inflation of who uses it .Security has everything to do, in the first role, as something to protect and secure the life and wellness of the people of your country. I think this is very important. The second one is of course, if you go further out, it is the well-being of your neighboring nations and of your partners in an alliance. In the third role you are talking about global security. Global security is founded in part on treaties, agreements, and conventions and in this case I think the International Maritime Organization is a good provider for the global part, and some regional organizations are good providers for the regional parts. But on the other hand I think the real important thing about that is, you are aware that there is a responsibility to secure the nation’s territory and citizens from all threats which are coming from the sea, which has a real impact on their well-being and their lives and on their security. For example piracy is something that had happened far away from the European countries but it had a direct impact on our lives, not only on the lives of the seafarers who have been captured and very badly treated by the pirates, but on the impact of our lives as a whole. The same for smuggling and human trafficking and now for the Europeans it is a challenge to find a way to save the big numbers of migrants who want to join Europe using Mediterranean as a sea which they want to overcome to go to Europe, to Italy, Spain, Turkey, and Greece. RH: As we established consequently, security in the maritime encompasses elements of safety and defense that expand both into civilian and military domain. But, as we continue our deep dive into the issue, any discussion and analysis will be incomplete without acknowledging risk assessments. Can you describe the four criteria used to describe maritime risk, why should landlocked states care about these assessment factors? LF: I think we are all connected in a global economy, on cultural issues as well. Of course economy is where it’s easy to understand. Landlocked countries of course need the global logistics chain, a port in which goods are coming by sea into the port and then following the railroad track or the truck track into the country. As we know, most goods, at least for a certain amount of time are transported by sea so I know that for example, one important port for landlocked countries is Hamburg, others in Poland. These landlocked countries have good relations with the ports and in history, even some ownership parts in these ports. This has now changed with the European Union with free access and they can do treaties and the logistics is working very well. So I think the landlocked countries are really benefiting from safe and secure maritime domain directly. For example, one very landlocked country like Luxembourg contributed to the anti-piracy operation by donating a plane for sea surveillance which we all appreciated very much because it is not just that they are benefiting from the sea but they have to contribute as well. Yes, the risk assessment, it’s different from region to region. If you ask the people in Greenland what their greatest threat is, they will say oil spill. If you go to other regions, it is terrorism. Now for Europe, a big risk, and if we do not handle it the right way, is human trafficking and illegal immigration which is something that can endanger the stability of our nations as well. My point is we have to handle this in the right and appropriate way in line with all of our human rights and interests. Narcotics and arms trafficking is a real big deal and will continue to be. And I have to say, some years ago perhaps I wouldn’t have said, we have to look to the Navy-to-Navy engagements at small- to medium-sized fleets as well. That is something of a real concern. If you are talking about maritime interests, it is the importance of securing the exclusive economic zones, the different countries, and the huge amounts of dispute between countries, not just the South China Sea, but in other areas as well, something which can create a risk, which can become a threat. And as I’ve mentioned, environmental degradation and dumping of toxic waste, or illegal pumping of oil water into the sea and all these kinds affect maritime insecurity, collisions, and wreckings from bad navigation and bad training, those are all risks and some of the risks can become greater threats as well. RH: Some important figures I wanted to share for our listeners specifically for those living in the EU. According to the European Atlas of the Sea and its examination of Europe’s eight sea basins, it found the following statistics which are very important to recognize. The EU has 70,000 kilometers of coastline. Almost half of the EU citizens or roughly 371 million people, including the United Kingdom, live within 50 kilometers of the sea. Almost 40 percent of Europe’s GDP is generated from its maritime regions. 90 percent of the EU’s foreign trade is conducted through sea. Against this backdrop and figures and our previous discussion on risk assessment, how do these criteria affect the current European theatre? LF: I can tell you, it’s creating a big impact. What is good news in this case, it took some time for the European Union and member states to recognize the importance of the sea. I will come back to sea blindness, but of course they were focused on other internal issues. The financial reasons were very high on the topic. The first step taken by the commission, together with the parliament and the council, was the development of an integrated maritime policy. That was focusing on all aspects that we have already mentioned, not only the commercial ones but the environmental ones. This integrated maritime policy excluded the defense part of the whole maritime domain due to the fact that this has been changed with the Treaty of Lisbon, until then there was a clear division between the European common defense and security policy. But this has changed now and for good reasons. One reason for that is what you have mentioned. Therefore I think the geography of Europe is like a peninsula. If you look at a map you can see this. We have ports in the south, in the north, and in the middle. We have all we need, but it must function well; it must be secure. Therefore the combination of what I have mentioned before; a lot of civilian economic actions are important, but you must include in these commercial approach the coast guard on one hand, and the navy on the other hand as well. If somebody is thinking he can increase security only by civilian means and by diplomacy, I think that will not improve security, it will bring us back to insecurity. RH: I couldn’t agree with you more. Just for the listeners: think about how access to the ports are easy, it also makes it easy to complicate global freedom of navigation and we’ve touched on this topic without discussing security threats, specifically how your piece recognizes that of A2/AD. Keeping with the EU theme, admiral, Brussels must coordinate with an extensive list of authorities in the maritime domain with the objective of protecting a maritime picture in the local, regional, and global level. Can you identify the six functions you’ve mentioned as they relate to maritime safety and security in the member states? LF: I think we have a lot of maritime services, but I would like to mention the six of them which are the key players. This is of course customs, fisheries protection, border control, law enforcement, and also it is the marine environmental protection. I think these are the big players if they are establishing a good and trustful exchange of information. Even with a little bit of specific tasks, safety and security will increase. And of course, I didn’t mention the defense issue. Then of course, the defense will have only a preventive task. And if all the others are exchanging their information and doing their job together and not in a stovepiped manner, then of course it will be much more easier for the navies to participate and to act in accordance with their really core tasks to protect citizens and their national interests, and in this case, EU interest. RH: As we’ve established how the EU is trying to create a picture on the local, regional, and global level, you stated in your piece how the sixteen maritime surveillance-related initiatives sadly work in isolation from one another. Consequently, what is the impact of this disjointed surveillance on the EU? LF: This is something where I can say we have reached a lot of progress. The fact that it really worked in isolation, and the fact that this was no longer acceptable and the fact that the Commission was developing this integrated maritime policy, that all started a process for better information exchange, better surveillance in the European Union. Therefore, for example, the fisheries protection, border control, and customs already reached a much higher level of information exchange then it was two or three years ago. That is a really big improvement. I am in this case very optimistic, that the current situation in the Mediterranean, and other maritime domains, will help to even improve it further on. We have reached more than I expected in a limited time. We all have to accept that the still 28 and possible future 27 members of the European Union are sovereign states with their own decisions. It takes some time to bring them together and convince the participants to change their minds from the need-to-know to the responsibility to share mentality, but this needs time. And if someone is pressing too much, too high, then the outcome will not be better. It has achieved a lot and I am optimistic that this progress will continue. There is room for improvement. It is still on the way of the right direction. RH: Just for the record, as we spoke about earlier, as in this case again, it has taken a disastrous migration crisis for the EU and other areas to coordinate and better implement maritime policy. With so much dysfunction though, what has been the response from the European Commission to rectify this? LF: You’re right. This is something where it’s not a functional problem. It is a problem of, if I may say so, a problem of political will, to do something before the crisis arrives. The EU has a very far developed crisis management system. But if the member states are not providing the essence, the political will to participate, then of course, it would be very difficult to get the crisis management process working. The loss of so many lives in the Mediterranean, and in certain degrees in other areas as well, is what brought the commission and the parliament and the council together to these initiatives with the Operation Sofia in the Mediterranean in the one hand and Operation Sea Guardian by NATO on the other hand. And the frontline operations in the Italian coasts as well. But the dysfunction, if I may say so, I wouldn’t call it a dysfunction. This has been taken over by events, and the cooperation as I mentioned, there is room for improvement, but the actual situation and the actual operations are as good as they could be. But there is a lack of units, a lack of aircraft to survey and to identify the people who are distressed, and this is a decision, a sovereign decision by the member states, what they contribute and if they contribute. This is something at the moment where all the navies are very short on capacity, the boats and the aircraft, and this is something that is a real concern. So what we need is not only better coordination and collaboration, we need more assets to do our business. We have missed the turnaround point, and now we need some time before we get the capacity. RH: Keeping on the issue of burden-sharing and improving performance, recently the European parliament proposed the formation of a European Coast Guard. It was met with mixed reaction from the member states as you said earlier, in terms of the sovereignty being guaranteed. What is your take on the initiative, and will its creation serve to help manage the maritime domain with more efficiency based on our previous discussion? LF: I think the coast guard is an important player in all the issues which we have mentioned. They are acting already as a link between the navies and the civilian authorities and they are doing great work not just in the Mediterranean but in other parts of the world as well. But in Europe with 27 member states, we have different solutions for coast guard functions. If you go for a European Coast Guard, you have to consider that all of the European nations have different constructs. For some nations, the coast guard is part of the defense ministry, in others its part of the ministry of the interior, in some it’s on their own. So it is very difficult in such a federated situation to have the idea of a coast guard as one. If I look at my country, in Germany, we do not have a coast guard. We have the combination of different issues, you can call them a coast guard but from an organizational and responsibility view, it is not a coast guard like the U.S. for example. And there is another point which you can make. The coast guard function, which is the approach taken by the EU, I appreciate that, some countries are using their maritime assets, navy assets, law enforcement, they use them and task them to do coast guard functions. In France for example, this is a very successful thing, but France as a country is differently organized, not federally organized, centrally organized, and then things are different. And so, I think it is a good idea for a European Coast Guard, but in this case, the devil lies in the details. RH: Well from hearing about most EU projects, I think there is a disconnect between theory and what will happen in implementation. But still an interesting thing for listeners to keep at the top of their head. Finally, can you just comment really quickly on the informal meetings between the European navies, Chiefs of the European Navies (CHENS), and how they’ve evolved since its original meeting in 2003? LF: I have learned that informal meetings are sometimes producing more outcomes than formal meetings. I appreciate these chance meetings. I was part of that for some time and I can tell you that these discussions which we have inside the heads of the European navies, and always having invited the U.S., Canada, and for a certain time Russia as well, which is now not the case. That was a very good exchange. The big thing about this: it is informal, and you can really achieve trust and confidence building, and you can create a network at the highest level. And this is something which cannot be overestimated. The value of informal meetings is much higher than a lot of people realize as many are in favor of formal meetings. It’s not just the heads of the European navies, there are several coast guards, as well as in other regions, we have the North Atlantic Coast Guard forums, Arctic Coast Guard forum, the Mediterranean coast guard forum, so during these meetings of the coast guard forum, the navies are always invited. Today, even other maritime services are invited. They are executing this comprehensiveness, and the outcomes are studies, sometimes documentation, which do not have a formal character, but which influence the processes to achieve better cooperation and therefore I am very much in favor of these informal meetings. Vice Admiral Lutz Feldt (ret.) served in the German Navy for 38 years and served as Commander-in-Chief of the German Fleet and Commander-in-Chief of Naval Staff. Since retiring in 2006, Vice Admiral Feldt has taken over several different posts of honor: he was the President of the German Maritime Institute, Bonn, from 2007 to 2012 and is now a member of the Board of the German Maritime Institute, a member of the “Bonner Forum”of the German Atlantic Association; from 2005 until March 2010 he was a member of the advisary board of the “Evangelische ilitärseelsorge”(evangelical miltary religious welfare) and he is still a member of the advisary board of the publication “Schiff und Hafen”, an International Publication for Shipping and Marine Technology. He is director of WEISS Penns International.